Mr. Earnshaw returns home after his trip from Liverpool. As the children rush to greet him, they are expecting treasures from the splendid city. Instead, they see a shabby child at their doorstep. There are no gifts, just a dirty stranger at their house. Their hearts sink. How do the children react? Who is the outsider? Do they welcome him home? 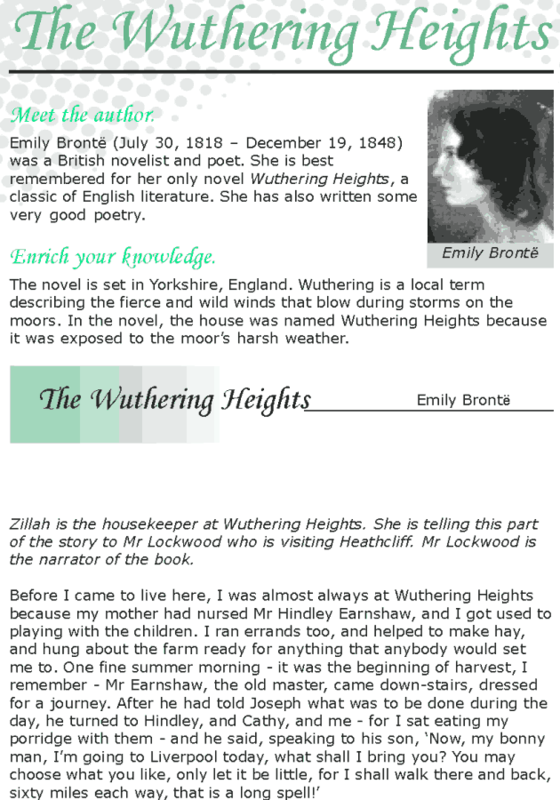 Read this extract from The Wuthering Heeights by Emily Bronte and find out.